Thank you so much for your interest in and support of HIAS Pennsylvania (HIAS PA). We are a community-driven and community-focused organization that relies upon the knowledge, commitment, and compassion of volunteers. Please check out our available volunteer opportunities! Note that these opportunities change periodically according to our needs. To guide your selection of a position, please review the below grid (which can be downloaded here as a PDF). As a first step, we ask that all prospective volunteers attend a New Volunteer Information Session (offered monthly on a weekday evening) to learn more about immigration, asylum, and refugee resettlement in Philadelphia. If you have any questions or concerns, please contact our Community Engagement Specialist at community@hiaspa.org. Everyone who plans to join the HIAS PA team as a social services volunteer must come to a new volunteer information session, which are offered monthly. Sign up for one below! 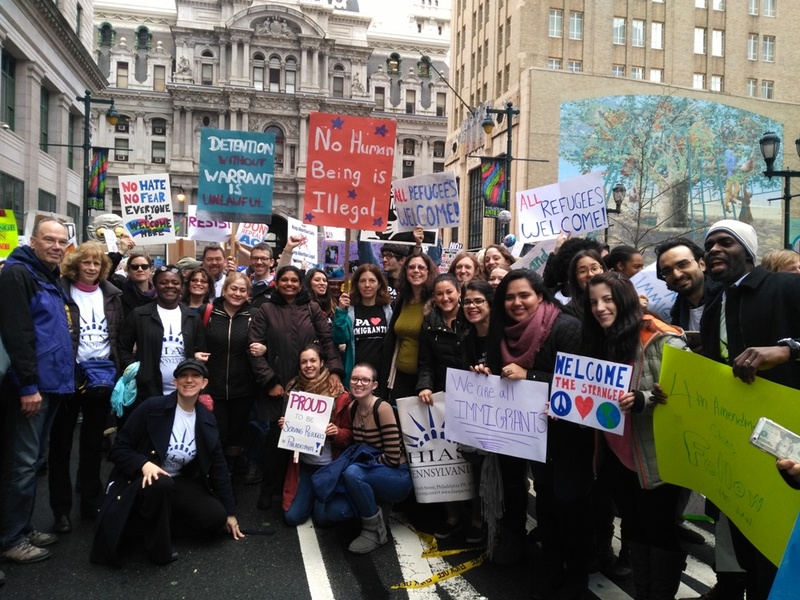 HIAS Pennsylvania provides legal and supportive services to immigrants, refugees and asylum seekers from all backgrounds in order to assure their fair treatment and full integration into American society. HIAS Pennsylvania advocates for just and inclusive public policies and practices.